Ken Block made us all want a modified Mustang in LA. 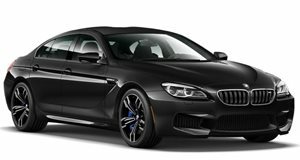 Now we want an M6 in the Rockies. As leaves start to turn yellow midway on their transition to a deathly brown, thoughts of winter invade the mind. To the everyday person, this means the holidays and long hours shoveling snow are around the corner. On the other hand, gearheads start to think about a whole different set of seasonal rituals, all of which involve cars. Winter tires depending on where you live and even those living in warm climates should some maintenance sure that your car is ready for below freezing temperatures. Now that you’re mulling on those chores, Pennzoil would like to remind you that to ensuring that your car will survive the winter. 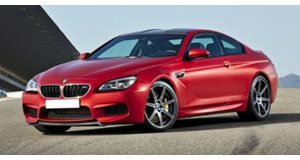 To drive the point home, Pennzoil gives us another one of its JOYRIDE videos, this time with a BMW M6. The coupe doesn't just survive the harsh weather offered by the Canadian Rockies, it thrives. Good thing this happened to be the tundra because if the M6 was in the mountains, we can easily picture its sonorous 4.4-liter twin-turbo V8 starting an avalanche from the noise alone. If that didn’t do the trick, kicking up some major snow using the rear tires could get a fatal mound of snow moving downhill. In either case, we’re sure the engine held up just fine in those cold temperatures thanks to the oil. Oh, and whatever it is you do to get your car up to snuff for the cold, .